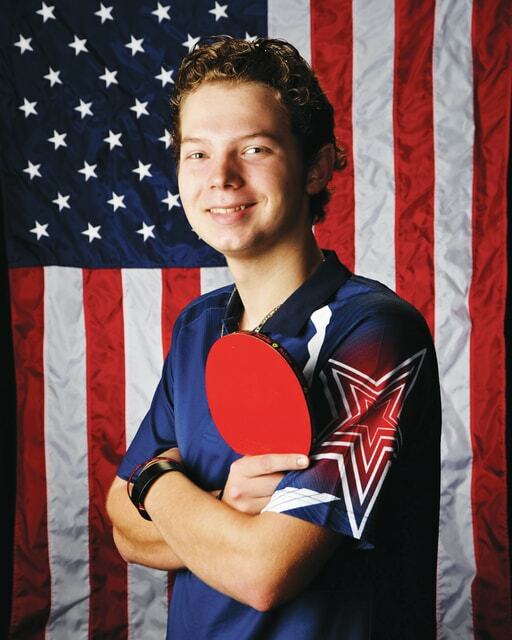 Ben Hadden, diagnosed with Asperger’s syndrome at a young age, took up table tennis ten years ago. He will be headed to the Parapan Am in Toronto in August as the top ranked Class-11 table tennis player in North America. Inspiration can come from many places. Julie Hadden wants parents of kids with Asperger’s syndrome to helps their kids follow their aspirations. Ben Hadden, Julie’s son, was diagnosed with Autism when he was five. Since then, she has done her best to help Ben achieve his goals and follow his interests. “He would be interested in something for six months and then be interested in something else,” said Julie. Ben watched the comedy “Balls of Fury” as when he was younger and became interested in playing the sport. Ten years later, he is the top ranked Class-11 table tennis player in North and South America. Julie worked at Wright State at the time and brought Ben to play at the ping pong tables there. He then began to branch out and play at local clubs, teaching himself the specifics along the way through YouTube. He now trains everyday for at least three hours a day, working on serves and footwork. He visits the Dayton club twice a week to practice. Ben, now 20, is competing in events around the world. He was one of two Americans invited to the World Championships in China, but couldn’t make it due to financial issues. This August, Ben will be traveling to Toronto for the Parapan Am Paralympics trials. According to Julie, Ben had to acquire 260 factor points and has to do well at trials in order to make it to the Paralympics. Factor points are earned by competing in events around the world worth differing amounts of points. Table tennis has meant a lot to Ben and Julie. Ben has had a lot of interests in the past – James Bond, skateboarding, playing tennis in high school – but Julie says that table tennis has helped in many ways. Ben also suffers from ADHD, and Julie says the sports has helped his attention span. Julie said she was told that Ben wouldn’t be able to learn because of his condition. She decided to try and help her son set goals and says that she hopes other parents do the same.